Developed by the National K-9 Working Dog, the “Police K-9 Bill of Rights” was created to support our canine heroes after they have left their law enforcement duties. While on active duty, these K-9s are considered officers, and the upkeep for the dogs is covered. These brave K-9s may retire from duty for a number of reasons such as age, injury or medical condition. Sadly, once the police K-9 has retired from service, he is considered a piece of equipment and no longer has rights to police department funds to pay for his upkeep. 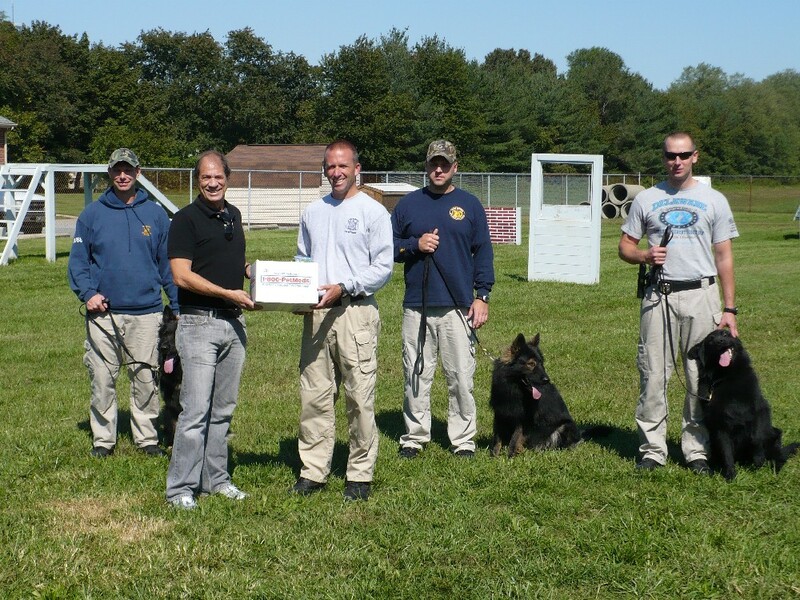 A tactical dog cannot be adopted by a third party due to liability reasons; if the K-9’s handler/partner is unable to adopt the dog, the dog must be euthanized. If the handler is able to adopt the retiring dog, he must pay for all of the K-9’s medical expenses. Currently, the NK9WD has stepped forward to pay medical expenses on behalf of these retired K-9s, to remove the financial burden from the handlers who have stepped forward to provide homes for their retired heroes. The goals of the proposed bill include providing medical benefits to retired police K-9s to ensure the well-being of the canine for the rest of the dog’s life, to reclassify K-9s as canine law enforcement officers rather than equipment, to provide cremation and final rest services for these K-9s, and for them to receive the benefit of safety equipment such as bullet proof vests and paw protectors while on the job. The funding for the proposed bill would come from an amendment to the Comprehensive Crime Control Act of 1984 whereby 2% of the cash seized by a police K-9 would be re-directed into a third-party general fund. Police K-9s have willingly devoted their lives to protecting and serving their community, and the many years of devoted service provided by these K-9 heroes can take a physical toll on the dog. When a handler steps forward to adopt their K-9 partner after the dog’s retirement, the burden of caring for the dog is immediately transferred to the handler. The Police K-9 Bill of Rights would allow the retired K-9s to benefit from just a small portion of the illegal cash, drugs and contraband they helped discover. Passage of this bill would be just a small way of saying “Thank you” to these devoted K-9 heroes. Want to learn more? You can visit the National K-9 Working Dog website learn more about the bill and how you can urge your local congressional representative to support the bill. PetMeds was proud to help support this organization with a donation of pet supplies.